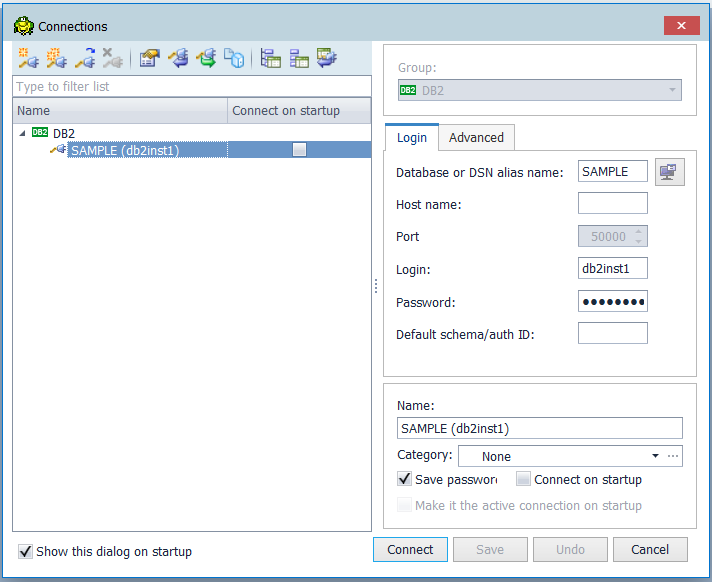 Configure Db2 Data Server Driver to communicate with the Db2 server via SSL connection and how to use it in Toad for DB2 version 6.3. 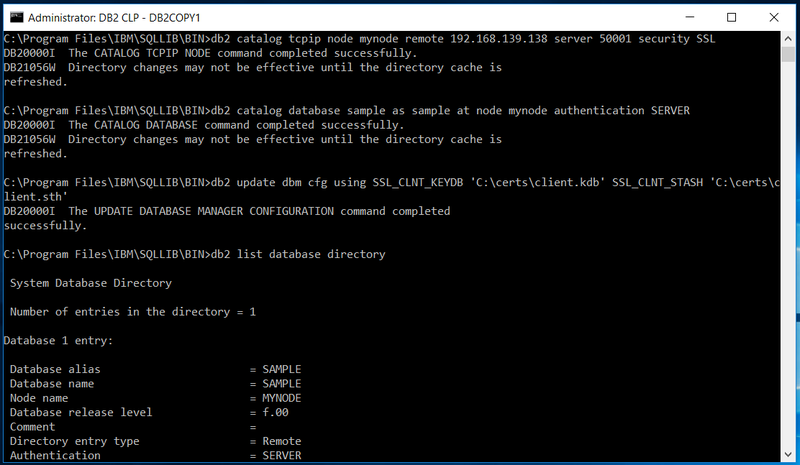 The current post also describes how to configure older clients (prior to version 10.5 FP 5). Not all the generated files are needed for all options. Read through the post and decide what to use according to your needs. To generate a key database and certificates it is necessary to have a GSKit installed, but it is possible to generate all necessary files on the database server and move them to the client. We will do it this way. Open the terminal and change the location to the folder where these files are located. Run the following command to create a client key store. The explanation of the command parameters can be found in the post mentioned above. …where the path to the server certificate is defined in the –file parameter. 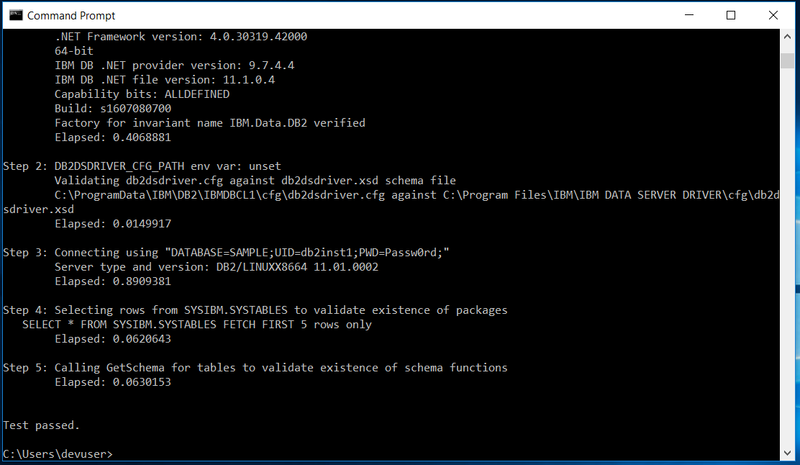 Move files client.sth, client.kdb (prior to v10.5 FP5) and server.arm to the client machine. 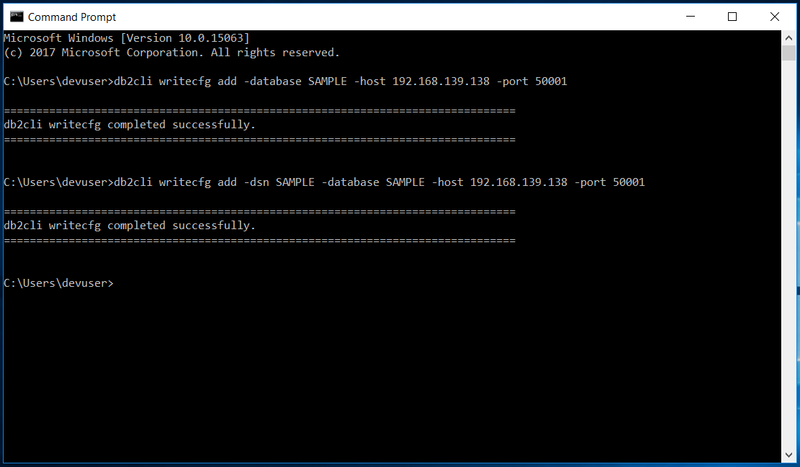 If you have a client prior to the version 10.5 FP5 you need to install a GSKit to be able to establish an SSL connection to the database. The installation of a GSKit is not a part of Db2 Client installation. Don’t forget to make sure that the %GSKIT_HOME%/lib and %GSKIT_HOME%/bin directories are in the system PATH variable. The variable %GSKIT_HOME% points to the location where the GSKit is installed. Next, list the catalogued databases. You should see the SAMPLE database listed. 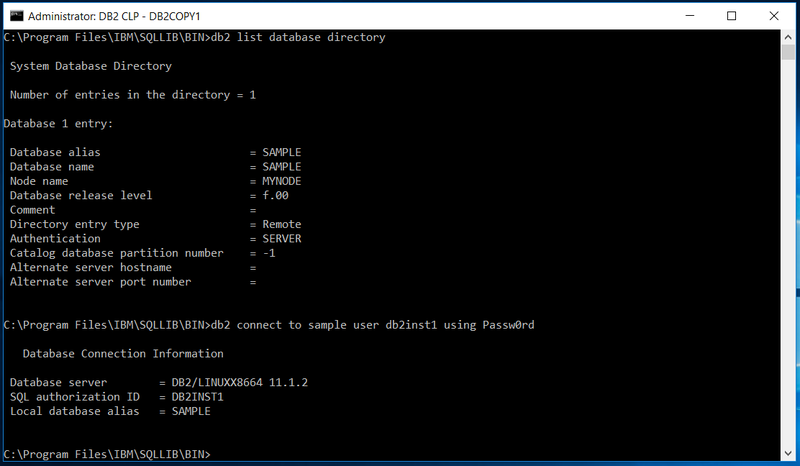 Open the CMD window and use commands to add the new connection to the Db2 driver. There is no need to install a GSKit. 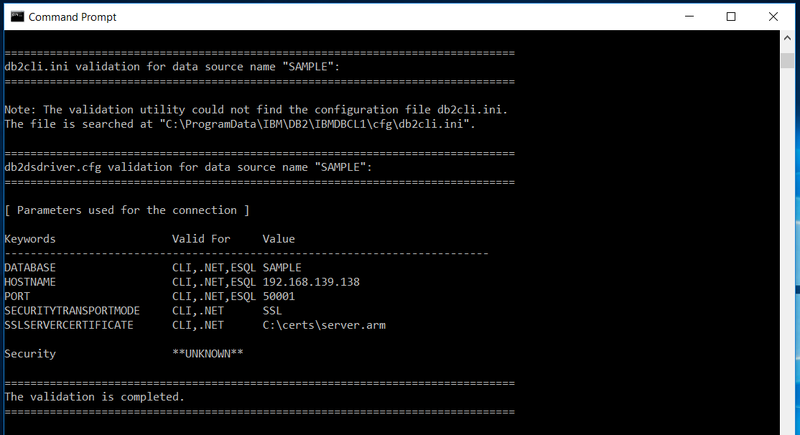 The client driver will create an internal key database and add the certificate to it. Now, because a self-signed certificate is used, we need to configure it with the client. In Db2 10.5 FP 5 we don’t need to use a stash file or key store file, only the server public key file. In version 10.5 FP 5 and later we need only to add the server public key and activate SSL. Perfect! We are able to connect. Connection to the database using Toad for DB2. Now open Toad for DB2 and try to connect to the database within the application. If you see database objects in the Database Explorer, you did the job. 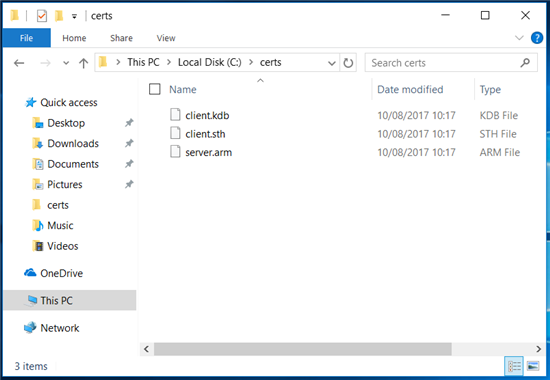 In this post, we demonstrated configuring a Db2 Data Server client to use a self-signed SSL certificate. We discussed differences between the configuration for Db2 prior and after version 10.5 FP5 and for Db2 Client and Db2 Data Server Driver.